John Dingell, the longest-serving member of Congress died on Feb. 7, 2019. He was 92 years old. For 59 years he represented Southeastern Michigan in the U.S. House of Representatives, the Democrat retired in 2015. 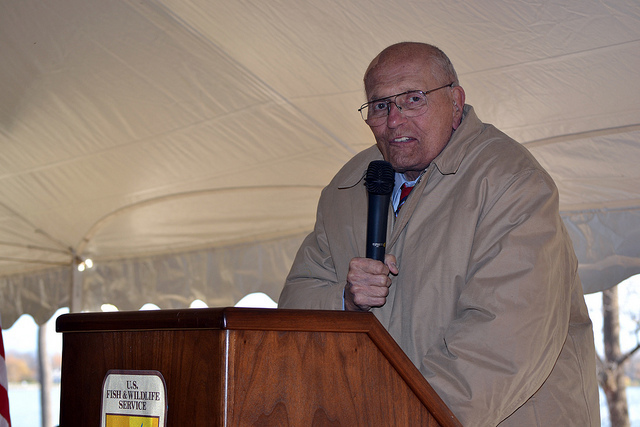 Dingell entered hospice care after being diagnosed with prostate cancer a year ago. His wife Rep. Debbie Dingell (D-Mich.), missed the State of the Union address on Feb. 5 to be with her husband. Friends and colleagues know I would be in Washington right now unless something was up. I am home with John and we have entered a new phase. He is my love and we have been a team for nearly 40 years. Dingell played a key part in many landmark laws. In 1957, he was a sponsor of the landmark Civil Rights Act. In 1965, he helped advance the law that created Medicare. In 1973, he played a key role in the Endangered Species Act and in 2010, the Affordable Care Act. Dingell was also one of the last World War II veterans to serve in Congress. Dingell originally supported the Vietnam War but changed his stance and demanded President Nixon withdraw the troops. The Lovely Deborah is insisting I rest and stay off here, but after long negotiations, we have worked out a deal where she will keep up with Twitter for me as I dictate the messages. I want to thank you all for your incredibly kind words and prayers. You are not done with me just yet. NBC News: John Dingell, longest-serving member of Congress, has died. He was 92.